Not every pair of earphones is great for the same purpose, and some are made for more than just music. Jabra’s latest might be an example of that, too, with a design like last year’s Elite 65t, but with a focus on something else. We’ve seen quite a few earphones in the past year, but one of our favourites landed it the best in-ears of the year, a statement that rhymes so much, we wish we’d thought of it at the time. 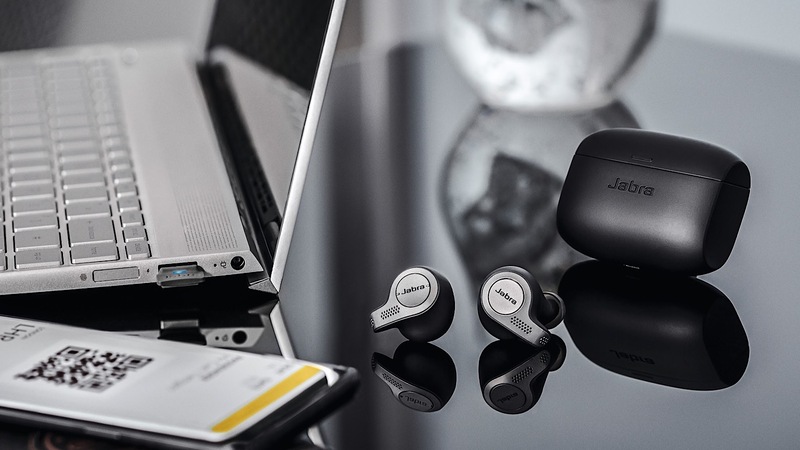 Jabra’s Elite 65t pack in design, audio quality, and enough water resistance to help that odd time we decide to go for a run or sprint to the bus, but they may not be the best for business. In fact, if regular walking, talking, and making sure that the other end of the phone knows what you’re saying is super important, Jabra’s been working on something slightly different. Similar, but different. On the surface, you’d look at Jabra’s Evolve 65t and wonder if the wireless in-earphones are exactly the same. They sure look identical, and outside of the fact that the Evolve 65t comes with a USB dongle and the Elite 65t don’t, you’d be excused for thinking they’re just another pair of last year’s Elite 65t. 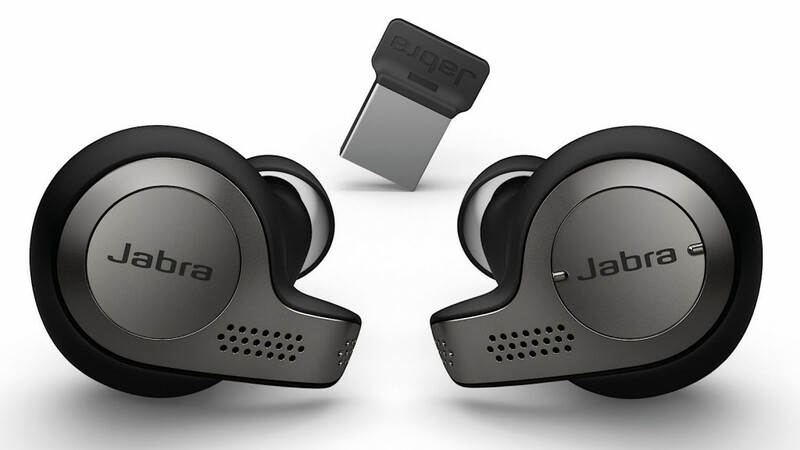 But for this pair, Jabra focused on the microphones, changing the internal design slightly. While both earphones rely on two microphones on each side to get the message, the Evolve 65t sits the microphones in separate chambers to allow its algorithms to make better work of noise, finding a better voice to noise ratio than with the Elite 65t’s use of two microphones in the same chamber. “Whether your main place of work is a crowded, open office or a flexible environment, it is crucial that you have seamless connectivity and optimal concentration,” said David Piggott, Managing Director for Jabra in Australia and New Zealand. “With Evolve 65t, we now add a true wireless headset to the professional experience,” he said. Outside of that microphone difference and the included USB dongle to connect the earpieces to a computer, the Jabra Evolve 65t is very, very similar to its Elite 65t sibling, though it does come with something else: Skype for Business certification. That’s something not every earphone gets, and should make it more reliable for business calls. You do have to pay a little more for these features, though, because while the Elite 65t can be found for under $300, Jabra’s Evolve 65t doubles the cost to around $605. It can be found now in stores across the country.